You will add many Cheats: Add Perk Points , Fast Shout Cooldowns , Free Crafting Materials , Unlimited Ammo/Items and many more. Hello! We are pleased to have you here on our website.This page shows the trainer and its user guide for The Elder Scrolls V: Skyrim. Do you want to get out of the box? We have Tricks for The Elder Scrolls V: Skyrim. See the page tricks and secrets of The Elder Scrolls V: Skyrim always on apocanow. 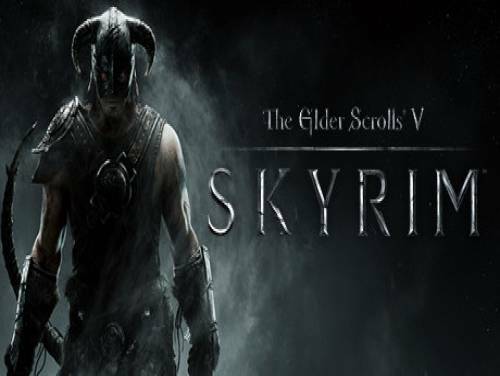 You will find all the tricks, codes, unlockables and objectives with the explanation on how to overcome them Nothing better to increase your fun with The Elder Scrolls V: Skyrim. The program you are about to download was not created by Apocanow. However, we have permission to publish and publicize by the authors of the Trainer The Elder Scrolls V: Skyrim Trainer - v1.5.39.0.8. The contents of the file are virus free, even if sometimes they can trigger the AV as false positive. Numpad 1: God Mode - toggle on and your character is immune to damage. of ammo such as arrows will be unlimited. Numpad 2: AI Can't Attack - toggle on and most AI cannot engage in combat. and then come back to see it has changed. add more. Leave and come back and you will see this has changed. is the correct location to use the option. Each press adds more. Leave this area and then open the inventory to see it has changed. that you can spend the Dragon Souls on, you will see how many you have. Numpad 0: Super Speed - you must have first entered the inventory at least ONCE. option increases ALL of the skills. attempt to reset them more quickly. things or maybe even sell things, you might need to toggle this off.